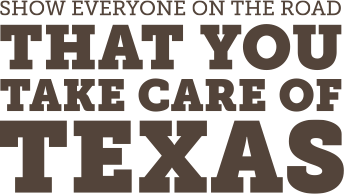 For the 2017 calendar year, manufacturers in the Texas Recycles Computers and Texas Recycles TVs programs collected a total of more than 24 million pounds of recycled electronics. The average house has approximately 28 electronic devices. Used electronics account for 1.3 percent of the municipal solid waste stream—a number that is going up. Purchase refurbished electronics, donate older electronics that still work, or visit the resources list below to learn where to recycle your electronics that are no longer of use. There are many types of items, including electronics, that can be recycled. 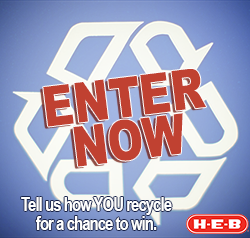 Share how and what you recycle around your home for a chance to win a $100 gift card, provided by H-E-B. See the contest rules. Following is a list of resources to help you find out where to recycle your computer, television, cell phones, batteries, or other electronics. Remember to always remove any private information from hard drives before donating, reselling, or recycling computers. For options for recycling cell phones or batteries, visit Call2Recycle.org to locate a drop-off location or your local phone company, many of which accept old cell phones for reuse or recycling.